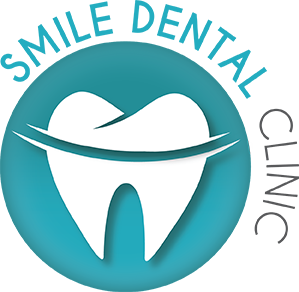 Patients come to us with a bad bite or crooked teeth looking for a dental solution, and at Smile Dental, that is exactly what we provide. Wisdom teeth are molars that usually emerge between the ages of 17 and 24 and stay trouble-free in some situations. Your child’s first dental check-up should be carried out before their second birthday, and at least once a year thereafter. We also assist you in taking the necessary steps in completing it with dental implants that are indistinguishable from your original teeth. If you’re unhappy with your smile and feel that it’s time for a makeover, Smile Dental Clinic ensures you take the right steps towards making it happen. Our dentist offer various whitening solutions to improve the appearance of your natural teeth. At Smile Dental Clinic, we recommend an oral hygiene check-up at least once every six months, or sooner if necessary. Whether you’ve lost teeth due to an accident, ageing, or poor oral hygiene, Smile Dental Clinic can make sure your smile flourishes once again. At Smile Dental, we focus on teaching patients and helping them to achieve optimum dental health and well-being. Dental fillings may be required to treat tooth decay or to restore worn or damaged teeth. The Smilefast Digital Indirect Bonding System uses 3D imaging to identify precise bracket position, essential for fast, straightforward orthodontic treatment.